Our corporate vision and strategy is simple: support every consumable supply need of an Rx lab so our customers can manufacture the highest quality prescription lenses possible. At the same time, we strive to create a pleasant work environment that motivates employees. This approach has served us well, as several employees have achieved tenure beyond 25 years. Behind the scene, we have many employees contributing in every way, while reliably serving customers – who we perceive as the real owners of our company. Despite having the most talented people in the industry, without quality products and satisfied customers we have nothing. At DAC Technologies, product development and customer service is our cornerstone; our commitment; our passion. Our product development goal is to find the best process solution for every customer. Every DAC Technologies employee has the same primary commitment: to serve customers both promptly and professionally. Our knowledge of the industry; our customer service commitment; the products we develop; our group experience since 1947 – all demonstrate the importance of customers from our perspective. Thanks to our numerous global locations, we have organized our logistical infrastructure to locally meet the needs of all customers. 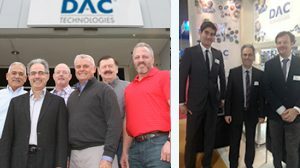 The nature of our multi-cultural organization is well suited to follow the industry’s needs throughout the world – making it easier for customers to conduct business with DAC Technologies. Customer service is one of our principal commitments. 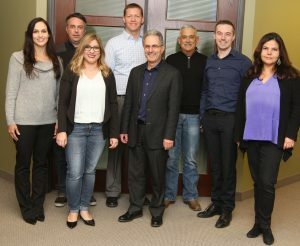 In Europe, as in North America, we have assembled the industry’s most talented teams to assure customers they will always have someone ready to serve them quickly and professionally. In fact, we have received awards for our unmatched customer service. 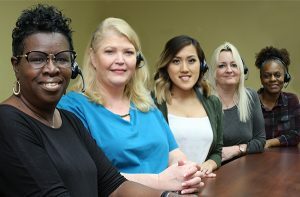 At DAC Technologies, customer service is not a department, it is our culture.